The new water and air simulator for Maya 2016 and 2017 is as beautiful and as mystical as the rainbow bridge from the Viking saga that has the same name, and with all good stories there has to be a start, a challenge, and an epic final battle. I wanted to give my teapot scene a bit more, so I thought, ‘you know what, let’s do tea pouring from the teapots; let’s make it one big mad tea party scene’! 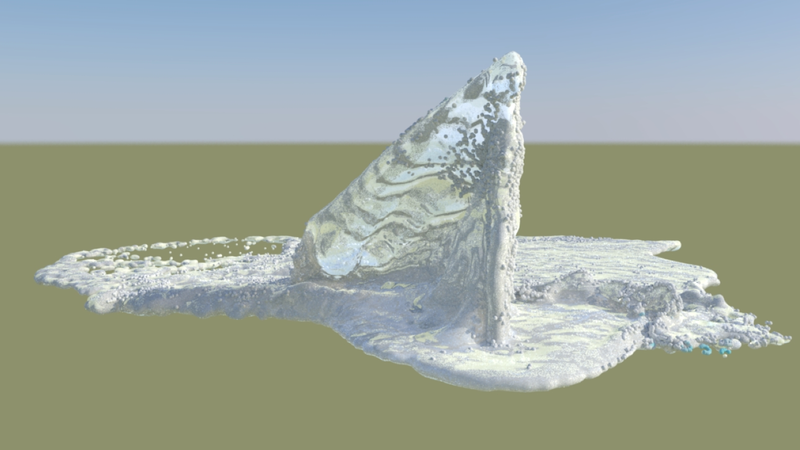 Having never worked with Bifrost before, I did what any self-respecting 3D artist would do: I looked at some tutorials. These all looked great. ‘Wow!’ I said to myself, ‘how nice and simple they make it look.’ Confident that I could also do this, I opened my teapot scene, made the first emitter, added some colliders, checked my world measurements and off I went: hitting play on the timeline. To cut a long story short, it did not go so well…. The gods of Midgard had not deemed me ready to cross this bridge. Back to the settings and it was there that I found a massive list of all kinds of parameters. More tutorials. After spending a day or more on my simulation, I took the difficult decision and started from scratch. I made a very simple animation on some Ncloth and made this my emitter. 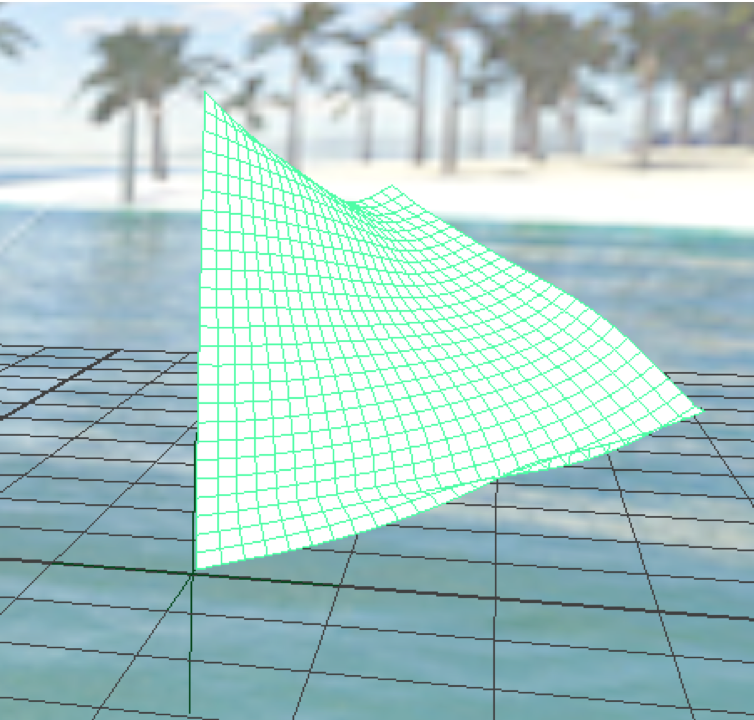 I will write a brief explanation on how to set up a cloth animation. Make a plane and make sure you have enough subdivisions. I went for 10 x 10. This will allow the cloth to bend where it needs to without causing sharp corners or flickering geometry. You can of course increase the divisions but keep in mind that it will make your animation slower and it is usually not necessary. Create a locator and parent the plane to the locator. 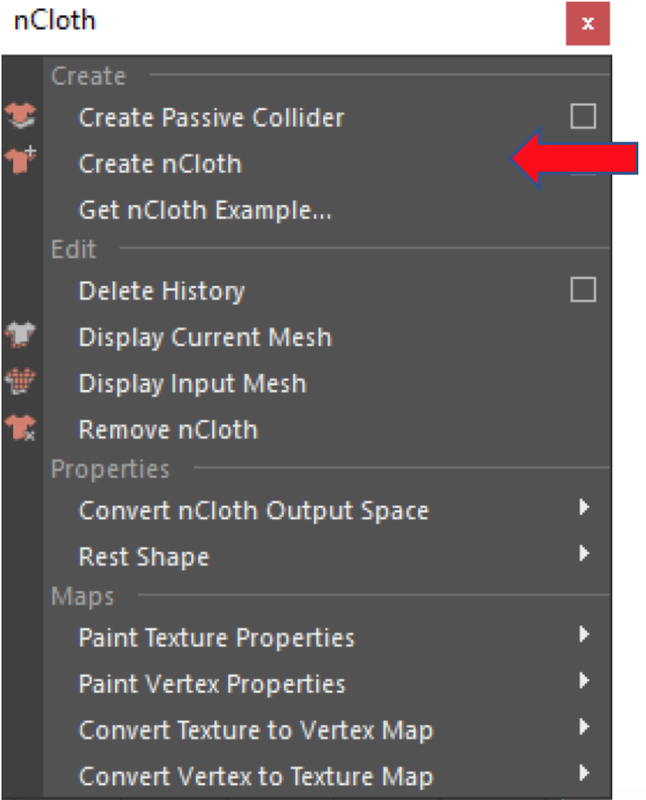 With your plane selected go to Ncloth, and select Create Ncloth. After you have done this, select the verts on the edge of the plane. Go to Nconstraint and select Transform constraint. 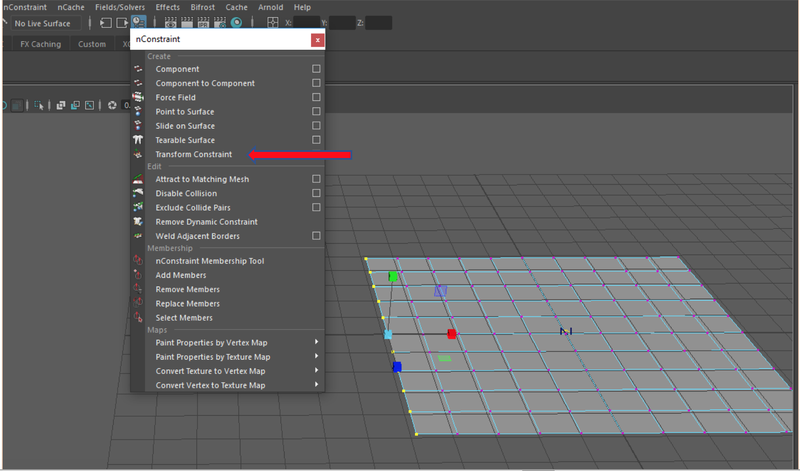 When you play the animation, you will see that your cloth will drop down but is pinned to the verts that you have constrained. Now, when you animate your locator, you will see that the cloth will follow and you can animate how you would like the flag to move. Just have a play and try tinkering with the settings in the nucleus. Once you are happy with the animation, I would recommend to cache it out as an Alembic; this means that you will not waste time simulating. Bifrost is going to be asking enough of your system so let’s make it as easy as possible. Now import the alembic into a new scene. Play it just to check that it is working as set it back to the stating frame. 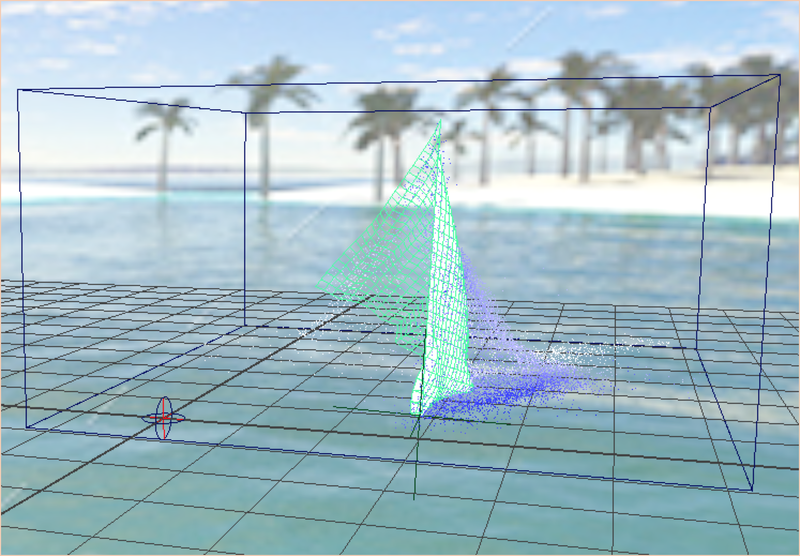 Select the mesh, go to Bifrost, create Liquid and hit play. To my surprise, it all worked smoothly. It generated perfect beautiful particles, the calculations did not make my computer crash and the render results were decent from the beginning. I spent quite a long time finding the perfect settings for me and played with the foam particles and lots (and lots) more. The main answer: I kept to scale. All tutorials will tell you that Bifrost ignores any measurements it comes across. And indeed, it does. So make sure you check your settings and measurements before you start doing your simulations because this will save you a lot of time. If your emitter is too small, it will not emit particles. If it is too big, it will give you long render times. A few other pointers that took me a while to figure out: Bifrost material will pick up the colours from the environment so if there is a grey plane, you will have grey bits in your water. And if your background is colourful and bright, it might look like the texture is blown out. Have a good look before you end up adding all kinds of IBL’s to the scene and objects and then have to hide them one by one to see which one it is that affects the texture. So now hopefully you will be able, like me, to take your first steps on the Bifrost bridge and get a bit closer to the (Maya) gods. Don’t struggle on with something that does not work, it will just cost you a lot of time and cause a lot of frustration. Start fresh. When you struggle, you learn a lot but don’t be afraid to let go of the old and start over with something new. ‘Make that model again? Yes! You will find you will be a lot quicker and the model will be a lot better. Do that simulation again? Yes! You will see you’ll have it set up in no time. Try, fail, and try again.